▶ Out of my प्रिय TH songs, which one is your favorite? OMA has provided an option आप can EARN द्वारा trading in your points for a triple voting value on the last day. Your daily voting टोपी will triple (multiply द्वारा 3) starting on June 26, 2012 at midnight Eastern time for 24 hours. Example: If आप are a level 1 super fan, your voting टोपी would normally be 25 वोट्स per day. With Visigoth voting, it is tripled to 75 वोट्स per दिन on June 26. Alright, so some of us already know about these. Good for you, pat yourself on the back for staying in touch. If आप didn't here's a helpful review. [i]1. Real Tokio Hotel प्रशंसकों know और songs than Monsoon . 2. Real Tokio Hotel प्रशंसकों know Bill Kaulitz's brother's name. 3. Real Tokio Hotel प्रशंसकों will actually know that Bill and Tom are twins. 4. Real Tokio Hotel प्रशंसकों shout 'YES!' when one of their songs come on. 5. Real Tokio Hotel प्रशंसकों will पंच anyone for dissing Bill's hair, feminine features, या Tom's dreadlocks. 6. 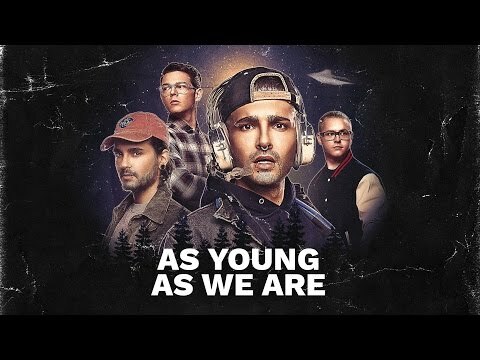 Real Tokio Hotel प्रशंसकों प्यार the songs in German and in English. 7. Real Tokio Hotel प्रशंसकों think that they are totally hot. 1.when they come back from a tour, hug them like youll never let go. then every 5 mintes look at your watch n say "shouldent आप be somewhere." a pop quiz question जोड़ा गया था: Who volunteered to be in the band? a poll जोड़ा गया था: Which is the best album? a poll जोड़ा गया था: Stormy Weather या Better? Who is Bill चुंबन :(?